Also, double-tap any photo and select “Cutout” to crop your photos into pretty shapes with FREE stencils! - New premium sticker packs added for VIP members! 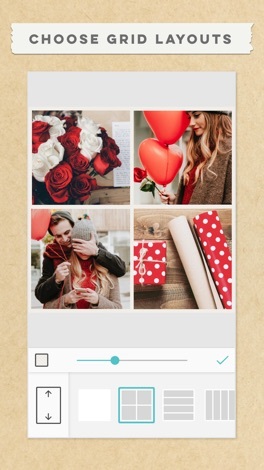 Download the best app for editing photos and videos, making free cards, and creating photo collages this Valentine’s Day! Choose from hundreds of photo grid layouts and sizes, exclusive stickers, cute background patterns and textures, and draw on your collages with “Doodle”. Join over 190 MILLION people who use PicCollage as their best collage maker and photo grid app! - Instant grid layouts for photos from your photo library, Facebook or Instagram. - Hundreds of layouts and templates to choose from. - Thousands of exclusive stickers and backgrounds to beautify your photos and decorate your stories. 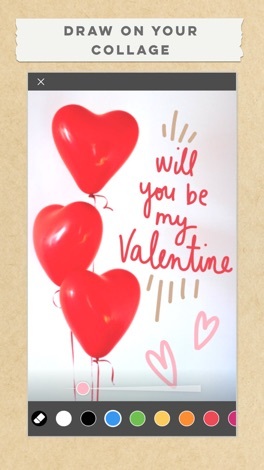 - DIY card templates to send seasonal greetings to someone you care about. - Go freestyle and make a scrapbook of special moments. - Draw and write on your photos in your own unique handwriting! - Cut out your photos by tracing shapes with your finger. - Fullscreen canvas sizes that fit Snapchat and Instagram stories! - Print your photos on a custom phone case or turn them into a real greeting card! 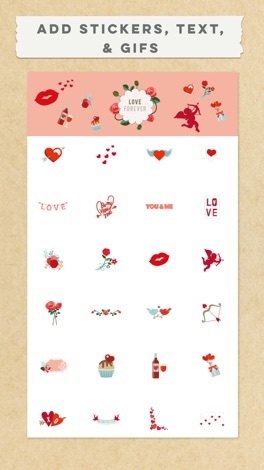 - New free sticker and background packs for winter and Valentine’s Day. - Support video and animated collages. 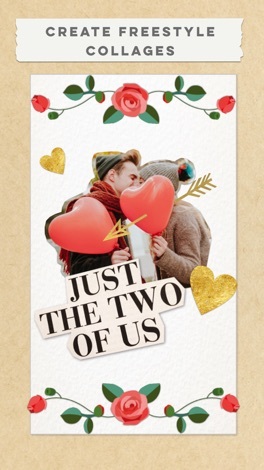 - Find the card you want faster with our Card selector layout categorized by occasion - Winter, Valentine’s Day, Birthday, Wedding, Thank You, Get Well Soon, Congratulations, New Baby, Just Because. 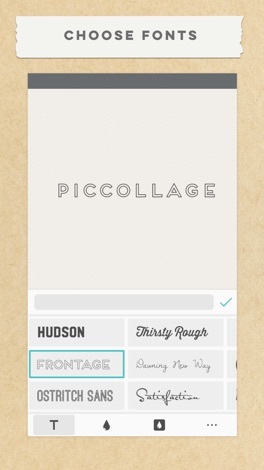 - Improved instant collage effects with multiple layout options by tapping the plus button. - Optimized user interface to support the iPhone X screen size and iOS 11. Create a photo collage in seconds with our grid feature. Choose from a wide variety of grid layouts and pre-designed cards or use freestyle mode to create a photo collage in your own, unique style! Edit your photos with thousands of fun and trendy stickers! Enjoy exclusive stickers from huge brands such as Hello Kitty, Pac-Man, tokidoki, Barbie and many more! 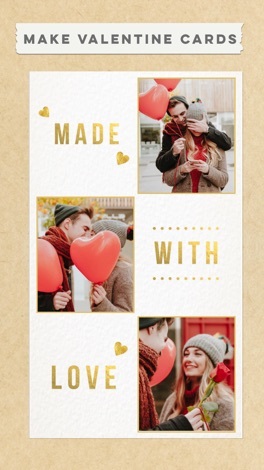 Choose from hundreds of FREE pre-designed cards and templates created for every occasion such as winter, Valentine’s Day, birthdays, holidays, weddings, anniversaries, graduation and newborn babies! Want something more? 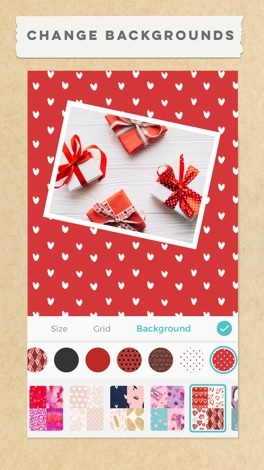 Print your collages out on high-quality phone cases, photo books and greeting cards directly from our app!